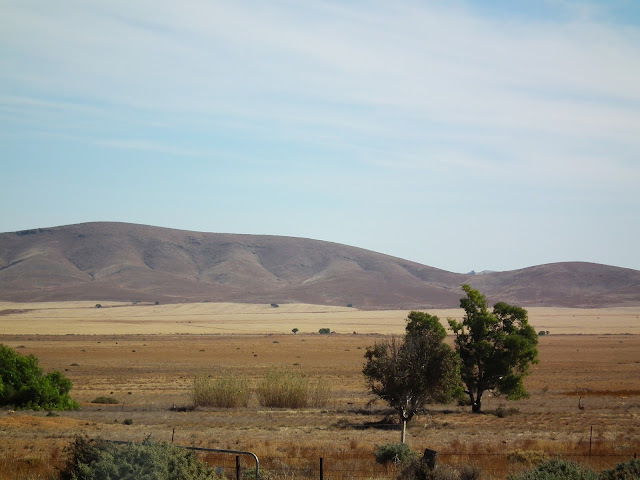 Meander to the Max: Home again, home again ... great place to start a travel blog! Home again, home again ... great place to start a travel blog! in South Australia, not far from the old mining town of Burra. 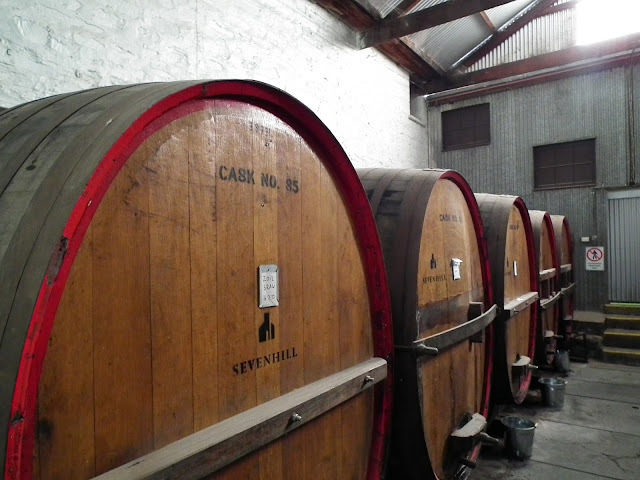 Wine casks at the Seven Hills Winery, near Clare, SA. 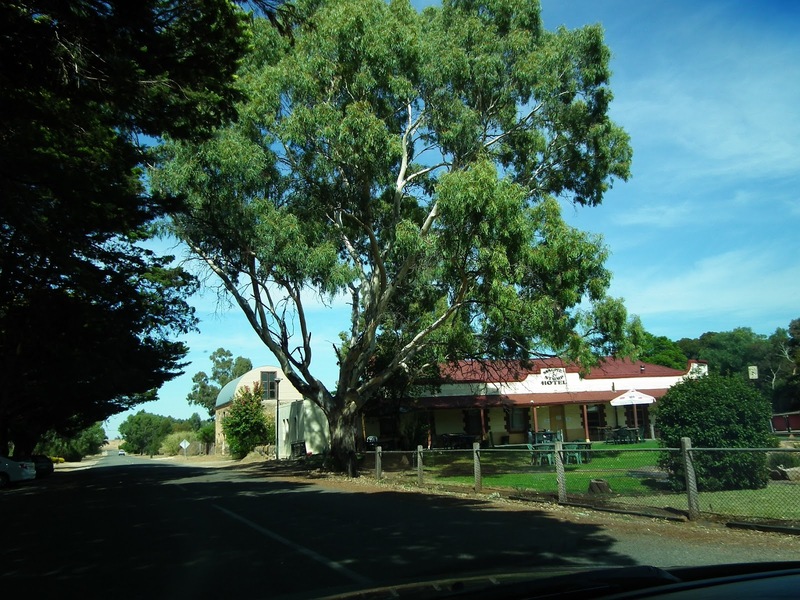 The Magpie and Stump Hotel in Mintaro, east of Clare. Just follow the signs. 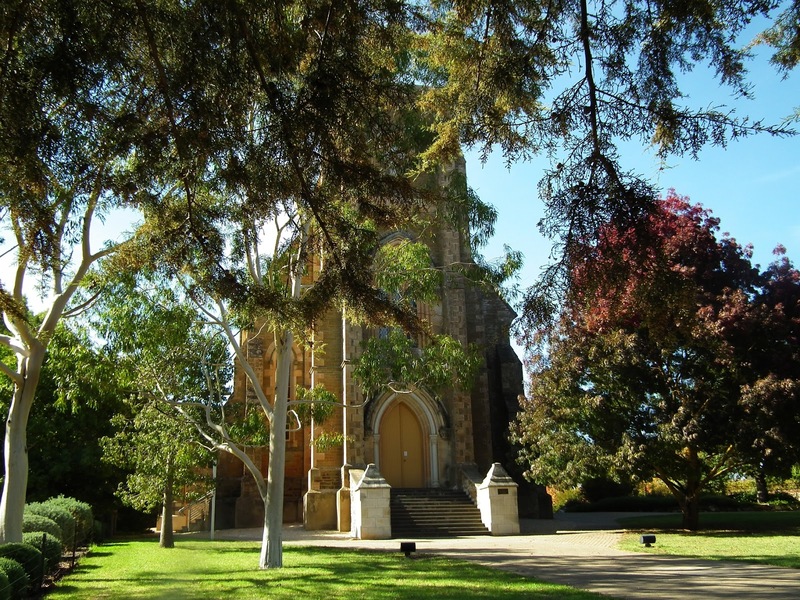 In the mid-north, all roads lead to Clare. The South Australian Motor Museum, in Birdwood. seven weeks short of the start of winter. Wouldn't want to do this any closer to summer! Gateway to the Barossa Reservoir, and the amazing Whispering Wall. The Blumberg Hotel in Birdwood. 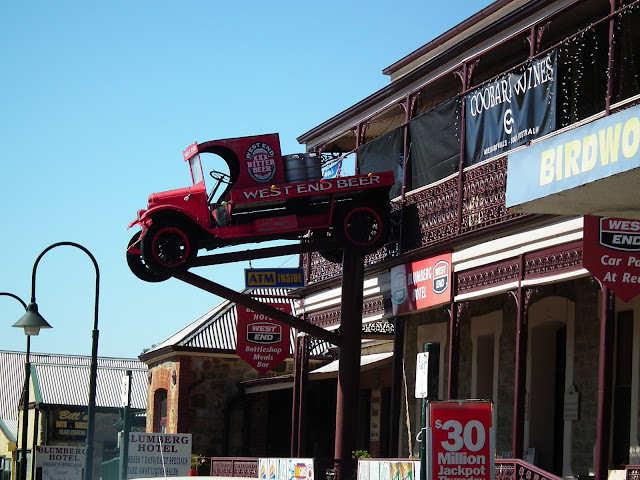 Be on the lookout for airborne West End deliveries. The beautiful Church of St. Aloysius at Seven Hills, near Clare. 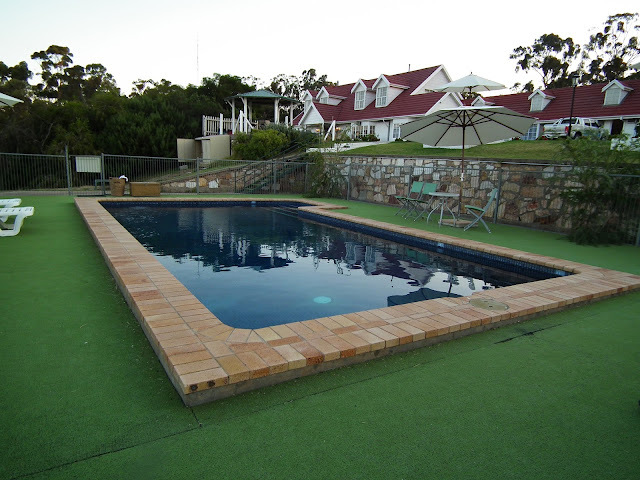 The Clare Valley Motel and "Top of the Hill" Restuarant, just outside of Clare. We called this Base for three great nights. 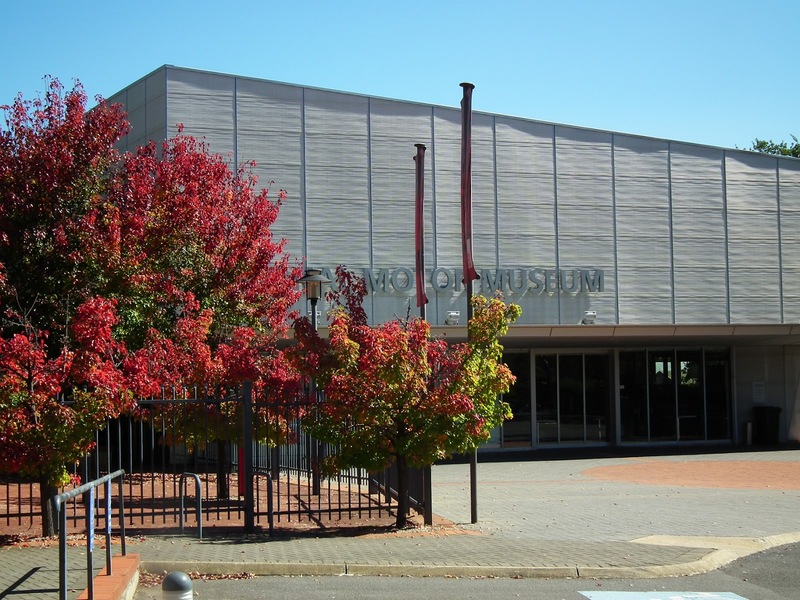 A memorial to Sir Sidney Kidman, in Kapunda -- Barossa Valley. 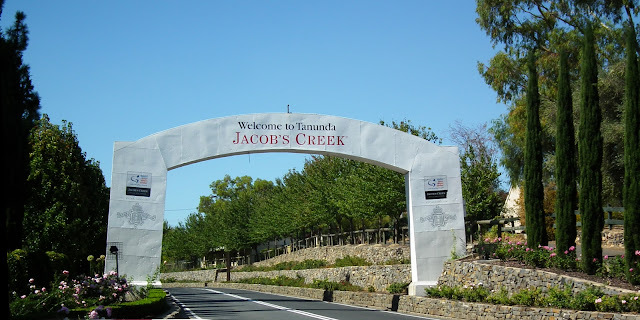 Speaks for itself: Welcome to Tanunda, Barossa Valley. while traveling at about 100kph. It was sizzlingly hot. Dry. Dusty. Smoky. 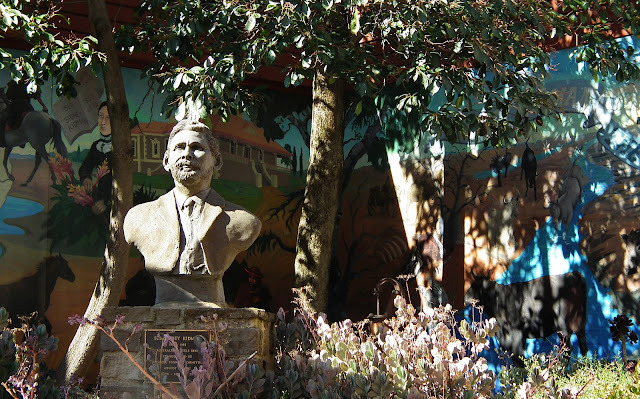 Home again, home again! 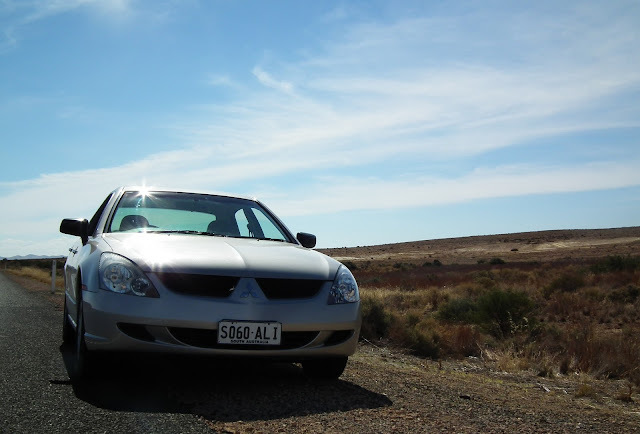 Lola (aka the Mitsubishi Magna) has just about cooled down from more than 1100kms of travel in some fierce heat, and some amazing places, and at last it’s time to start this blog, which will give us an easy way to share photos and stories of our travels. April 2013 … after an aborted attempt to plan a return to the Limestone Coast, we decided to head north and explore. 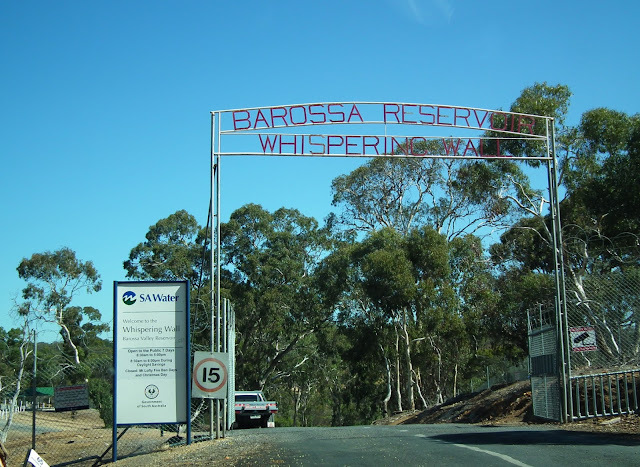 A place called “World’s End” … a very haunted house … a dam where a whisper can be heard from one side to the other … the biggest grain silos this side of Kansas … the Madonna of the Vines … burning paddocks and glorious roses … fantastic wineries and spectacular coastlines … we saw so much in four short days, we’re still trying to get it organized. 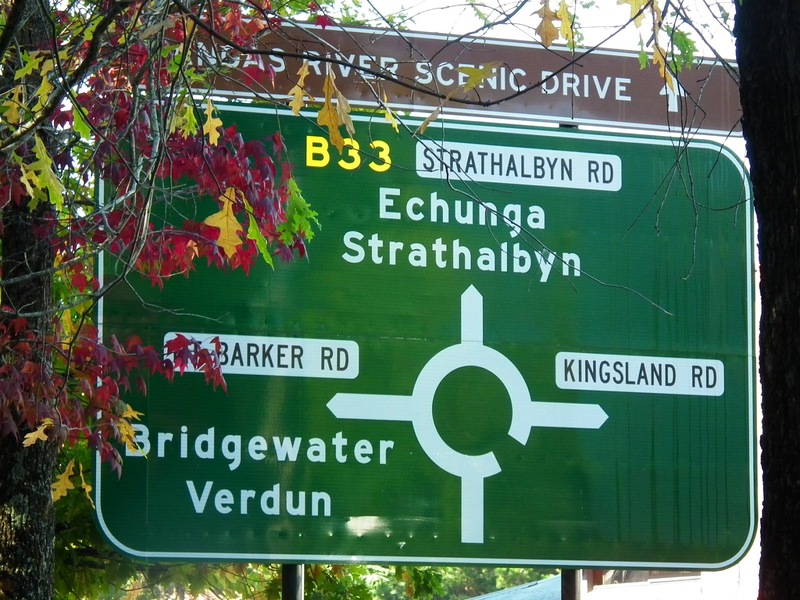 Starting with Clare Valley and beyond, 2013, we'll work our way through places like Worrawong and Tantanoola, and prove with the road signage that such places really do exist -- you couldn't make up names like this.